This article is written by Andrew Schulman, Consulting Expert & Attorney at Law, and it appeared first on his LinkedIn profile. More details about Andrew is at the bottom of this article. Claim charts (infringement contentions [ICs], invalidity contentions, etc.) are required in patent litigation under the Local Patent Rules (LPRs) adapted in most federal district courts. The rules require something that doesn’t just look like a chart with claims in it. Litigants frequently produce claim charts which do not meet the LPR requirements. Because claim charts are not intended to prove one’s case, but instead to provide notice and to lock down one’s own theories (to prevent what courts have called the “shifting sands” or “musical chairs” approach to patent litigation), litigants frequently tell themselves that their deficient charts are “good enough,” that “no one will ever read this,” and generally that claim charts are simply are a hoop to be mindlessly jumped through. And litigants do sometimes get away with this. But there are numerous published opinions in which the court has punished — harshly or lightly — litigants and parties over the deficiencies in their claim charts. Claim charts (both the other side’s charts and your own drafts) should be actively searched for common problems. This article discusses 15+1 [bonus] problems in the claim charts. 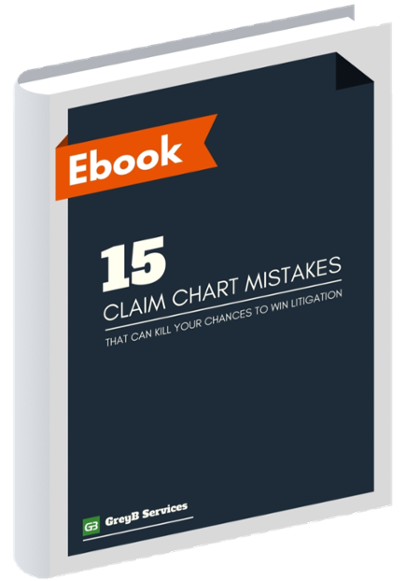 Click on the links below to jump to a specific problem discussed: The article briefly discusses some common claim-chart problems and is excerpted from a forthcoming book, Claim Charts: Marshaling Facts in Patent Litigation, by Andrew Schulman. See the introduction and preface to the book, along with a detailed table of contents. In many cases, illustrative cases are from N.D. Cal. and E.D. Tex. in 2016. This is a long 5700+ words article with a lot of insights. You may be coming back to go through the list again or may like to share it with your colleagues. Hence, to make things easier for you, we have converted it into a printable PDF format. You can get the PDF by filling the form below. Courts frequently take claim charts to task for being “conclusory” — even when the chart appears to contain a lot of facts. Even an apparently fact-filled chart will be conclusory if it fails to use the facts to present a theory of infringement or invalidity. A claim chart need not prove this theory, but it must provide genuine notice of the party’s theory, which requires an interweaving of facts with the claim limitations. See e.g. 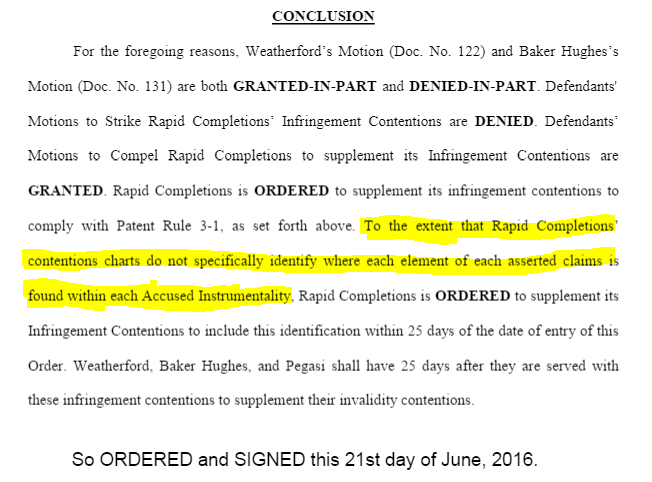 Rapid Completions v. Baker Hughes, 2016 WL 3407688 (E.D. Tex.) (diagrams, screenshots, and links to video clips do not put D on notice of P’s “position as to where it believes particular limitations are met by the accused instrumentalities,” citing EON IP v. Sensus, 2010 WL 346218). It is all too easy to dump in some information about the accused (or prior art) device or method, without linking this information with the asserted location of each particular element or step. A tip-off to a conclusory claim chart is often an absence of the word “because” (e.g., “D’s widget practices or embodies the gizmo limitation of P’s claim, because a widget is a type of gizmo”). Conclusory charts are not merely unhelpful to the court and unhelpful to the other side, but dangerous to the chart’s proponent, as conclusiveness constitutes a legal rather than a factual assertion, and thereby under Iqbal/Twombly is entitled to no deference in summary judgment (SJ). One of the easiest ways to create a conclusory claim chart is to merely “mimic,” “parrot,” or “ape” the claim language. Such a chart fails to employ the nomenclature used by the accused product or prior-art reference, and instead simply copies the language from the left side of the claim chart into the right side. See e.g. Rapid Completions cited above (P’s contentions, by “simply mimicking the language of the claims when identifying infringement fail to comply with Patent Rule 3-1,” citing Connectel v. Cisco, 391 F. Supp. 2d 526 (E.D. Tex. 2005)). Litigants and experts sometimes deliberately mimic or parrot the claim language because they do not want to be tied down to specifically-named technology in the accused product or prior-art reference. One tip-off to a parroting or mimicking chart is presence of the same names for elements or steps in both columns of the claim chart, without an explicit tying of the claim terminology to the (generally different) nomenclature used in the infringing or invalidating reference. But see D’s “parrot” argument rejected in SSL v. Cisco, 2016 WL 727673 (E.D. Tex.) (6 pages of unexplained block quotes, but here the evidence “speaks for itself … there is no ambiguity about which structures SSL contends satisfy these claim elements”). Many initial claim charts (so-called PICs) over-rely on the “information and belief” formulation, in circumstances in which the party has no basis for its belief beyond a fond hope. Rather than merely chanting “information and belief” as a mantra, the claim chart author should ask itself whether, if challenged, it could say why the asserted fact “will likely have evidentiary support after a reasonable opportunity for further investigation or discovery” per FRCP 11(b)(3), which is not (especially post Iqbal/Twombly) a completely free “safe harbor” carve-out from Rule 11. See e.g. Technology Properties v. Samsung, 2015 WL 4240986 (N.D. Cal.) (contentions were conclusory and insufficient when based in large part “upon information and belief”). These charts exhibit a lack of commitment. Each fact or set of facts will be prefaced with a phrase such as “For example but not necessarily limited to, see…” or each set of facts will be presented as a bulleted list with no more preface than “See, e.g.”. See Word to Info [WTI] v. Google, 2016 WL 3648605, fn. 4 (N.D. Cal.) (“WTI is advised that its use of open-ended placeholder phrase like ‘such as’ and ‘for example’ will not enable it to rely on infringement theories not specifically articulated in its infringement contentions”). In Apple v. Samsung, 2013 WL 3246094 (N.D. Cal., striking the phrase ‘and/or other processes’ from infringement contentions; “If Samsung believes that other processes contain or somehow practice the software sequence needed for the required structure, it should assert them”). See also Finjan v. Proofpoint, 2015 WL 1517920 (N.D. Cal.) (court striking the patentee’s use of “including but not limited to” language in identifying the accused products; D argues “that this formulation is improper, as it purports to identify infringing products by their functionality … not their name or model number. The Court agrees”). Such claim charts adopt the open-ended language of interrogatory requests, whereas even initial claim charts are intended as the party’s infringement or invalidity contentions. They need to contend something. While claim charts can present alternate theories (in particular, the doctrine of equivalents [DoE] as well as literal infringement, and obviousness as well as anticipation), an underlying purpose of claim charts is to early crystallize theories of infringement. A “theory” is not merely a legal doctrine such as literal infringement or DoE; a theory is how the elements of that doctrine (here, the claim limitations) interleave with the facts. By simply dumping out a set of facts, without a commitment to what role these facts play in establishing presence or absence of a claim limitation, the claim chart leaves it to the reader to determine the theory. The underlying purpose of claim charts is also expressed as early “locking down”. Leaving wide open what other facts the party might later assert (“but not necessarily limited to”, and use of the open “e.g.” instead of the closed “i.e.”) does not accomplish this purpose, and can turn patent litigation into a game of Whack-a-Mole (“okay, you got us there, but how about…?”). Further, a claim chart bullet list generally leaves unclear how the items in the list relate to each other (boolean OR vs. AND): is the corresponding claim limitation found in each separate bulleted item (OR)? Or must all bulleted items be considered together to form the limitation (AND)? Or, most likely, something in between? Finally, each side is arguably entitled to infer, not only what constitutes infringement or invalidity in the other side’s eyes, but also what does not; open-ended, merely exemplary lists of facts prevent any such inference. Other cases with open-ended contentions include Richtek v. uPi, 2016 WL 3136896 (N.D. Cal.) (“for some time, patent owners have made open-ended allegations in their complaint that do not specifically identify the accused products… it is time for the case to narrow, not expand. Accordingly, Richtek may not add new products to this case”) and Metaswitch v. Genband, 2016 WL 3618831 (E.D. Tex.) (“Genband does not specify the identity of ‘each item or prior art’ it relies on; at best it provides non-limiting examples of ‘accused products and/or their predecessor products”). The term “boilerplate” refers to pieces of text that can be used in different contexts with little or no change. Some charts contain large amounts of boilerplate, typically used as a “placeholder” or “hook” at each limitation for some theory that the claim-chart author wishes to preserve, but for which there are not yet supporting facts or explanation.Boilerplate is typically used for DoE and obviousness. substantially the same way (implementation). See e.g. InteraXon v. NeuroTek, 2016 WL 5118267 (N.D. Cal.) (improper to assert the doctrine of equivalents with generic “placeholder” language on the hope that future discovery might support such an assertion). In Howmedica v. Zimmer (2016), the CAFC concluded that a district court’s exclusion, applying its LPRs, of a bare-bones DoE assertion (P “reserves the right to demonstrate the presence of a substantial equivalent of such an element and pursue infringement claims under the doctrine of equivalents”) was not an abuse of discretion. Litigants and experts frequently purport to “reserve the right” to later assert DoE. This almost as frequently fails, as there is generally no such “right” to reserve. The LPRs typically only allow claim chart amendment for good cause, which must be shown through diligence, as must lack of undue prejudice to the other side. See e.g. Baltimore Aircoil [BAC] v. SPX, 2016 WL 4426681 (D. Md.) (“the local rules do not permit a party to claim the measure of discretion that [BAC] purports to reserve for itself here…. To hold otherwise would permit the sort of shifting sands approach to patent litigation the local rules seek to prevent”). But see GoDaddy.com v. RPost, 2016 WL 454445, fn. 8 (D. Ariz.), in which a seemingly similar “reservation of right” had the effect of putting the other side on notice (“RPost’s experts disclosed that they reserved the right to amend their positions to include DOE infringement if the Court’s claim constructions so required…. the fact that GoDaddy knew about the DOE theory of infringement speaks to the lack of prejudice towards GoDaddy, not the diligence of RPost”). Also note LPRs in which amendment is under some circumstances allowed as of right, without leave of court (see e.g. Krausz v. Smith-Blair, E.D.N.C. 2016). The claim chart author often mechanically splits each patent claim along semicolons, as the sole means of deciding the element of analysis. While semicolons do often denote claim limitations, often sole reliance on them leaves behind some extremely lengthy limitations which have too many sub-parts to be analyzed in one fell swoop, or which even contain explicit sub-limitations. Sub-parts of claims that do no rise of the level of separate limitations (i.e., which should not be given their own rows in the claim chart) can be separated analyzed using subheadings in the right-hand column of the chart. A pinpoint legal citation refers the reader to a specific place being relied upon for some proposition in a legal opinion. In contrast, a non-pointed citation simply refers the reader to the legal opinion as a whole (e.g., as in this article, “go read Iqbal”). By analogy, a pinpoint factual citation refers the reader to a specific place containing facts being relied upon to establish some point in a factual chain. In the context of claim charts, a pinpoint factual citation means that the facts showed and/or reference provided, narrowly pertains to the claim limitation or sub-limitation under discussion. This is not a mere aid to the reader, but locks-in precisely what is being relied upon for support, to preclude later “clever” re-interpretations. Claim charts frequently avoid doing this, instead of dumping in the same large set of facts and/or lengthy page range for each claim limitation. This may then provoke an over-reaction, demanding that each row of the claim chart present facts pertaining to a given limitation, and “only” that limitation. See Vasudevan v. IBM, 2011 WL 940263 (N.D. Cal.) (interrogatory request: “The identification shall be provided separately on a limitation-by-limitation basis and shall identify only those lines of source code for each limitation that are necessary to allegedly meet each such limitation”). “Pinpoint” factual citations generally are called for in the context of software patent litigation, with source-code citations. Even after the other side has produced its source code in discovery, the discovery recipient will often fail to pinpoint which source code goes with which limitation. See e.g. Finjan v. Sophos, 2015 WL 5012679 (N.D. Cal.) (pinpoint citations required, at least in response to interrogatory; citing DSC v. Symantec, 2009 WL 1607717 (C.D. Cal. 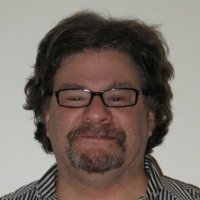 ): “[A]fter a plaintiff-patentee has had a reasonable opportunity to review the source code for the defendant’s accused software product, the patentee’s time for trolling the proverbial waters for a theory of infringement comes to an end, and the patentee must fish or cut bait with respect to its specific theory of infringement by providing [infringement contentions in response to an interrogatory] that clearly identify and explain how the source code for the accused product infringes upon specific claims for the patent-in-suit”); Zix v. Echoworx, 2016 WL 3410367 (E.D. Tex) (not providing source code specifics in amended chart; shifting up to $5,000 in costs). If nothing else, claim charts are intended to be a party’s contentions. Yet claim charts often fail to contend anything, instead merely juxtaposing facts with each semicolon-delimited phrase in each asserted claim. That may in the simplest cases be sufficient (a nod’s as good as a wink to a blind horse), but it can also prompt demands (sometimes honored by the court) for a more explicit chart. Now forced to generate this explicit chart on a tight deadline, the party may realize that the facts relate only tangentially to the claim limitation. This is especially a problem when limitations have subparts: which facts “go with” which subpart? See Rapid Completions cited above (P not required to explain in great detail in ICs, but must set forth particular theories of infringement by identifying where it alleges particular limitations are met). Anyone who has spent time in patent litigation has seen massive charts, produced with copy & paste, or with the “merge” feature of Microsoft Word, in which the same large set of facts appears over and over in nearly every row of the claim chart. Those who churn out such monuments to busywork often truly believe they are fulfilling the claim-chart requirements. In some cases, the litigant seeks to impress by the chart’s mere size, but courts are not necessarily impressed; see e.g. Connectel v. Cisco cited above (P’s “six hundred footnotes simply refer back to the same handful of string cites”). In other cases the litigant is afraid to use a cross-reference, believing that anything less than a dump of all its facts, for each limitation, will lead to failure of proof for an individual limitation. But unless the litigant actively seeks to hide the ball, concise cross-references are preferable to voluminous copy/paste, and can be employed with such simple phrases as “D’s accused product contains a local app server, which embodies the ‘facade server’ limitation of P’s claim, as shown in the information cited for limitation [1d] above, which is expressly incorporated herein” or “As shown at [1d] above (hereby incorporated by reference), Jennings discloses creation of a facade server.” One counterpoint is that a cross-reference may imply some identicality between two limitations, whereas a copy/paste may simply reflect the fact that two rows of the chart happen to be satisfied with the same information. This implication can be avoided by cross-referencing the information in the chart’s right column, not the limitation itself in the left column. Inventors often regard their particular way of doing X as the only possible way to achieve result Y. If the result Y is perceived in D’s product on the market, the inference is then drawn that D “must be doing” X. Of course, sometimes the inventor will be correct to infer X from Y.But charts which merely infer the presence of claim limitation X, from visible result Y, might be viewed as instances of the slogan “It’s in there” from Prego® spaghetti sauce commercials. Since the LPRs mandate that a chart point to “the location where” each limitation is asserted to reside, the naked inference that the accused product “must be doing” X fails. See e.g. Bender v. Maxim, 2010 WL 1135762 (N.D. Cal.) (chart asserts that Xes are “necessary” for Ys “ ‘to perform their function….Therefore, they are required and inherent in the design. ‘While plaintiff’s statements may not be untrue, they are based on assumptions. The Court will not order a defendant to produce proprietary schematics for over 200 products based on an assumption. 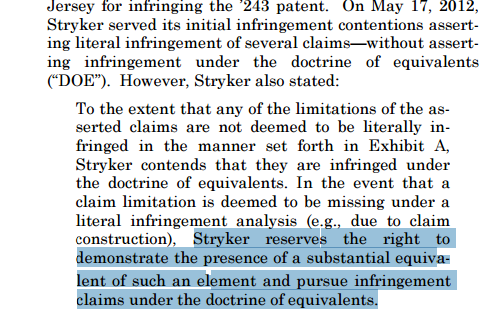 Plaintiff cannot remedy the current inadequacy of the infringement contentions merely by circling portions of a commercially available datasheet”). Even if the inventor happened to have been correct to infer X from Y, the attorney’s sole reliance on the client is likely not a reasonable pre-filing investigation under Rule 11, and this sole reliance may be apparent from the “It’s in there” (somewhere) nature of the chart, given that the LPRs require that the chart identify “specifically where each limitation of each asserted claim is found” in the accused product. Further, the inventor’s “there’s only one way to produce Y” may be misleading when it comes to design-around and damages. Any claim chart necessarily employs some claim construction, even if not explicitly, and whether it intends to or not (this point is like M. Jourdain’s discovery that he had been speaking prose his entire life). However, even some charts which include a separate middle column devoted for claim construction will in the right column speak entirely in terms of the unconstrued claim language. This is especially likely to happen in charts which include means-plus-function limitations: the right column will present some facts relating to “means for Y,” without addressing the means specifically disclosed in the patent for carrying out the functional Y. Some charts, by their choice of what to juxtapose in the right column to a claim limitation in the left column imply an unreasonable claim construction. See e.g. Eon-Net v. Flagstar, 653 F. 3d 1314 (CAFC, 2011) (unreasonable to read a “hard copy” limitation onto a web page: there is “no dispute that Eon-Net’s counsel did examine portions of Flagstar’s website and, based on his experience, concluded that it worked in a manner that infringed the ‘697 patent…. A reasonable pre-suit investigation, however, also requires counsel to perform an objective evaluation of the claim terms when reading those terms on the accused device.”). Claim charts should always be read with the question in mind, “What claim construction is being implied or otherwise used here?” A claim chart which is incorrect is not for that reason insufficient because claim charts are intended to provide notice and to lock down theories, not as an arena for substantive disputes (see SSL v. Cisco, cited earlier). However, a claim chart which is unreasonable (as opposed to merely wrong) should be rejected. (A) Marketing Materials may be at the wrong level of granularity for proper use in a claim chart (which requires disclosing the location where each claim limitation is found in the accused product), and may also employ puffery which inaccurately describes the product (though the vendor may be subject to a sort of advertising “estoppel”). Recent cases where deficient charts employed marketing materials include Finjan v. Proofpoint cited above (patentee’s contentions improperly consisted of “generic marketing literature and screenshots of the type routinely rejected by courts”) and Rapid Completions cited above (advertising materials while helpful did not provide notice of specific theories of why product infringes). On the other hand, specific advertisements may be vital proof of inducement; see e.g. Blue Spike v. Adobe, 2015 WL 335842 (N.D. Cal) (“although Blue Spike included advertisements for Adobe’s products in support of its ICs, it neither specifies which particular product each advertisement endorsed nor indicates which advertisement led to infringing behavior. Such circumstances create only insufficient boilerplate allegations of indirect infringement”; also noting that advertising materials, rather than reverse engineering, can be employed [especially in initial infringement contentions], “if those materials provide enough information”). (B)Standards are excellent sources, but one must be clear whether a product is implementing the relevant portions of the standard, or conversely is merely “compatible” (per its advertising) with some irrelevant portion of it. P may need to show that the accused product operates in accordance with the standard, if D denies this; see Fujitsu v. Netgear, 587 F.3d 1324 (CAFC, 2010) (accused infringer is free to either prove that the claims do not cover all implementations of the standard or to prove that it does not practice the standard). (C)Third-Party Descriptions of Products can often save valuable time, and may even substitute for or supplement one’s own reverse-engineering efforts (see e.g. Sage Electrochromics v. View, N.D. Cal., 2013) but must be used with caution. Third-party materials are problematic as part of any inducement theory. (D)Speculative Documents (such as requirements specifications or forward-looking design docs) produced in discovery may be valuable, but one needs to check if they came to fruition, rather than assuming that any internal document produced by X accurately describes X’s products. Claim charts regarding accused products or services should be based on technical information disclosing where elements or steps are located (or not) within the accused instrumentality. Pre-discovery, in so-called preliminary or initial claim charts (once known as “PICs”), this technical information should be diligently mined from what is publicly accessible, including through purchasing, testing, and reverse engineering products. Experts as well as parties produce claim charts or produce the textual equivalent (in the form of a limitation-by-limitation analysis of each asserted claim, vis-a-vis each accused instrumentality or prior-art reference) in the expert report. While the party’s charts are covered under the LPRs and e.g. FRCP Rule 11, the expert’s charts (as incorporated in the expert report) are covered under FRCP 26(a)(2)(B), as well as under FRE 701-705 and Daubert. The expert’s chart (or textual equivalent) must disclose all opinions and the bases for them. At the same time, the expert and party charts are closely related, because the court will generally strike an expert opinion that is outside the scope of the party’s contentions. Parties sometimes attempt, unsuccessfully, to use an expert report to “backfill” some theory (such as DoE), product, or prior-art reference, later found to be missing, or insufficiently disclosed, in its contentions. See e.g. Finjan v. Proofpoint, 2015 cited above; Finjan v. Proofpoint, 2016 WL 612907 (N.D. Cal.) (striking portions of P’s technical expert reports that opined on infringement by products that had not been identified in the P’s infringement contentions, citing Asus v. Round Rock, 2014 WL 1463609 (N.D. Cal. ): “party may not use an expert report to introduce new infringement theories, new infringing instrumentalities, new invalidity theories, or new prior art references not disclosed in the parties’ infringement contentions or invalidity contentions”). Experts sometimes merely copy or adopt the party’s claim chart. See e.g. IPPV v. Echostar, 191 F. Supp. 2d 530 (D. Del. 2002). While this can be harmful to the expert’s appearance of independence, it is even worse to copy the party’s claim chart without being explicit, or perhaps even denying it. Of course, even if not going to admissibility, the expert’s wholesale adoption of the party’s chart may weight and credibility; see e.g. Everlight Electronics v. Nichia, E.D. Mich., 2014 (“the Court rejects Everlight’s argument that Dr. Schubert’s methodology is unreliable based on the fact that he did not check all of the boxes in the chart himself … Such issues go to the weight to be accorded Dr. Schubert’s testimony, not to its admissibility”). When there is a large amount of material to be charted, it is not surprising if the expert receives some help. One should be on the lookout for, and prepare for deposition questions regarding, an expert whose own claim chart and/or expert report differs significantly from the party’s charts, e.g. in which facts are aligned with each limitation, but which nonetheless attaches the party claim chart and/or incorporates it “by reference.” Generally, contradictions between the party and the expert are a useful deposition area. Perhaps this is one reason why experts might be nudged towards a wholesale adoption of the party’s charts. It is well known that expert reports are often ghostwritten by attorneys, and/or by consulting experts. Experts frequently purport to “reserve the right” to amend or supplement their reports to include new (as opposed to clarifying) material, but there is generally no such right to reserve, as the expert report should not exceed the scope of the party’s contentions (see Finjan v. Proofpoint 2016 above), and there is generally no “right” to freely amend or supplemental party contentions with new theories, products, or prior-art references (see Asus v. Round Rock above). Claim chart schedule, amendments, and supplements are the subject of an entire chapter in the forthcoming claim-charts book, and will be covered in a forthcoming article. For now, the issues are briefly: good cause, diligence, and lack of undue prejudice to the other side. Good cause to amend or supplement can come from newly-applied law (in particular, a court’s claim construction order, but also e.g. Alice: see Mortgage Grader v. First Choice, CAFC, 2015) or newly-discovered facts. With “new” facts, the issue is whether the information could, with sufficient diligence, have been discovered earlier. This is usually a matter of prior-art rather than infringement facts, which is somewhat surprising given that prior art by definition would have been publicly accessible at the relevant time (though perhaps publicly accessible in the sense of a single copy of a thesis in a library in Germany, per In re Hall, 781 F.2d 897 (Fed. Cir. 1986)), whereas infringement facts may require reverse engineering to uncover. Other questions are whether the new information justifies amendment, and what to do about information that was already known (residing perhaps within the four corners of the patent, in a 112 invalidity argument), or at least knowable, but whose significance was only newly-appreciated; see e.g. Johnstech v. JF Microtechnology, 2016 WL 6836965 (N.D. Cal.) (importance of references became clear at the parties’ tutorial and depositions); 24/7 v. Liveperson, 2016 WL 6673983 (N.D. Cal.) (even if indefiniteness contentions could have been identified based solely on the asserted patents, local rules “are not a straightjacket”). It isn’t only claim chart which commonly presents problems. Claim-chart demands/requests may too, including certain requests for what has earlier been called “super-pinpointing” (see Vasudevan v. IBM above), and for representative instrumentality charts to be redone with one chart per product. While sometimes justified by the other side’s actions, some requests are simply asking for busywork, and sometimes one might even possibly suspect an unconscious symbiotic relationship among the attorneys and experts on both sides of a case. Sometimes claim chart complaints are about substantive issues rather than about whether the chart is providing notice and locking down party’s theories; see SSL v. Cisco cited above (“Infringement contentions are not intended to act as a forum for argument about the substantive issues but rather serve the purpose of providing notice to the Defendants of infringement theories beyond the mere language of the patent claim,” citing indirectly to Linex v. Belkin, 628 F. Supp. 2d 703, 713 (E.D. Tex. 2008)). A two-column chart may seem like no big deal, but the claim-chart requirement is a higher hurdle to clear than appears even to many practiced patent litigants. Disclosing theories of infringement or invalidity, at a limitation-by-limitation level of granularity, interweaving construed claim language on the one hand, with facts from an accused product or prior-art reference on the other, and pointing to specific locations, is not easy to get right, but is worth the effort. Even if courts may respond simply by ordering the litigant to quickly fix the problem (party’s motions to strike are often treated as motions to compel amendment), producing claim charts which conform to the local rules and associated cases will greatly help the party and experts clarify its own case. Subscribe to our blog and get access to exclusive patent strategies, reports, and case studies. Leave a comment below on what you think of any of the 16 mistakes Andrew discussed above. We would love to hear your thoughts! Explore more Patent commercialization Strategies and create your own smart patent commercialization strategy using these tactics. Andrew Schulman, the author of this article is a Consulting Expert & Attorney at Law with almost twenty years of experience in source-code examinations for litigation purposes. He is the author of Claim Charts: Marshaling Facts in Patent Litigation book which will soon get published this year.